Kind of a weird story on how I found these. I was at a blogger event in Lancaster that I put together and one of my friends, Elizabeth had these cute jeans on. I said to her 'you're losing weight!' and she said 'no! It's these awesome jeans I got in NYC while at Blogher!" I also saw them in my friend Whitney's site. She reminded me even MORE to check them out. They looked awesome on her too. I went into FULL FLEDGED weight loss mode last February-and lost about 28 pounds since then. I know. Been MEGA slacking on #OperationSkinnyButt. But we'll get to that later. Anyway-I have a pair of skinny jeans that I know are too big. (That's a GREAT FEELING, trust me-I'm not complaining! lol) So on the site-I saw these. I ONLY wear skinny jeans with boots. I think women with bigger 'bottom halves' should NOT wear skinny jeans without tall boots. I just think it looks awful-and even bigger than what you really are. Well... I still won't wear these without boots cause I'm crazy self conscious of my mega thighs...but I have to say-they still don't look TOO bad. I will tell you-it's sending me to their site to buy ANOTHER pair. The jeans are a bit pricey for some. 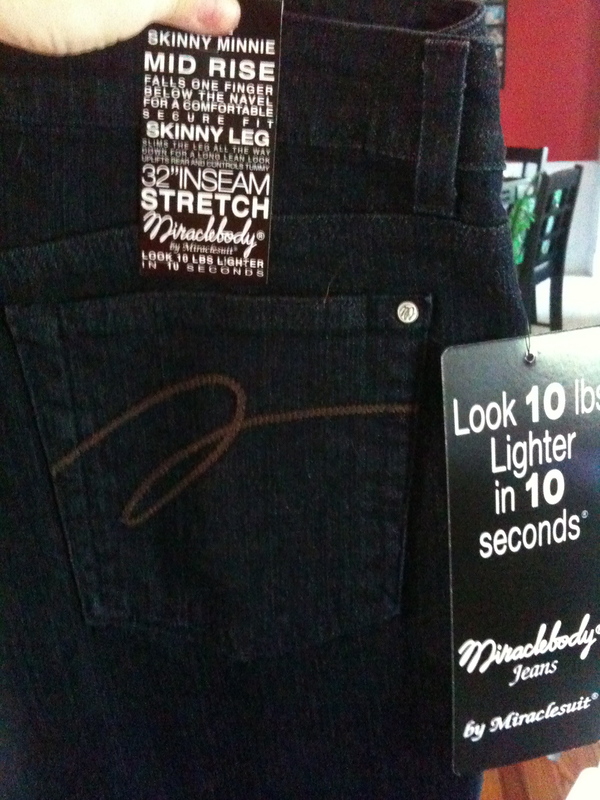 (The skinny's are $110 a pair). BUT-you and I both know-if you feel good in a pair of jeans and not having severe muffintop-you'll wear them more! And for me... I have about $1,000 of designer jeans from when I was completely immature and made stupid purchases when we lived in Chicago. They are all Joe's Jeans and I LOVE LOVE LOVED them on. But my fat post baby bottom can't fit in them right now. Also-get 10% off with the coupon code: "TakeTen" And according to Mommies With Style, you have until September 15th for the discount.